On the list of things that have a hold on my heart, Disney holds the top spot and it always has. It's something that just runs through my veins. 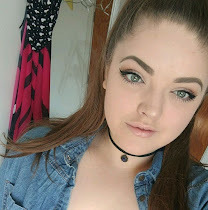 I was lucky enough to visit Disneyland and Disneyworld many times while I was a child but I haven't been to Disney (or in fact left the country at all) since I was 7. 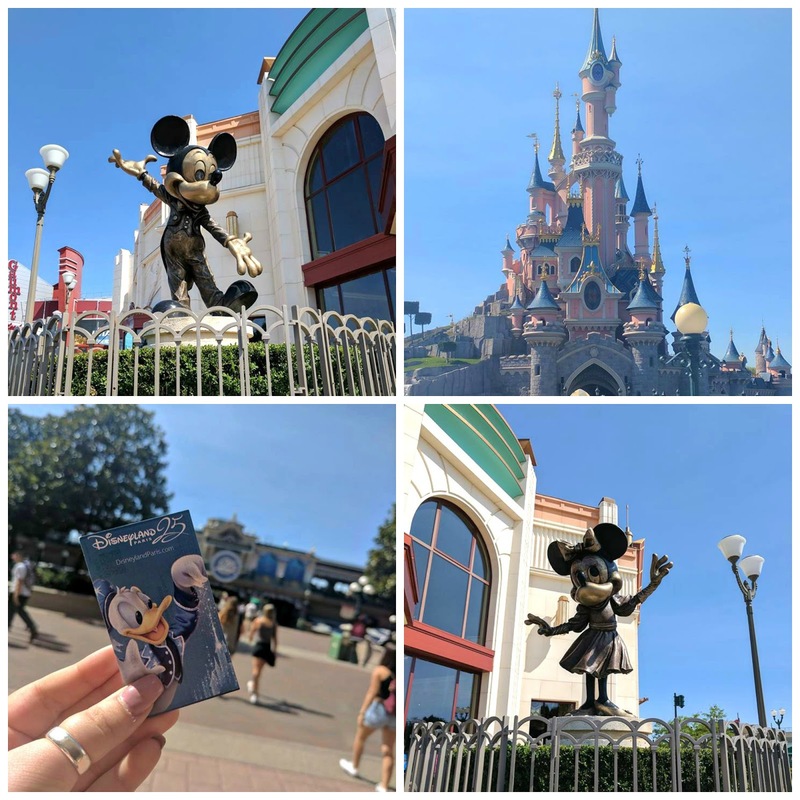 But good things come to those who wait and in June of this year, myself and my boyfriend headed to Disneyland Paris for 5 days during the 25th Anniversary celebrations and had the most magical time. 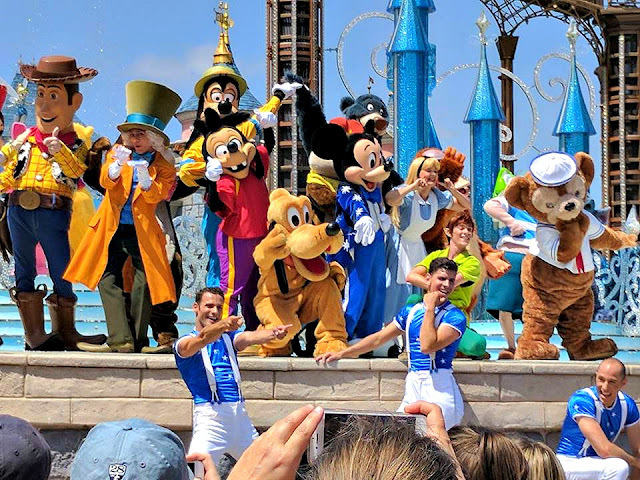 Because it was the 25th Anniversary, there was so much extra magic everywhere - such the Anniversary show which happened every afternoon with so many characters and photo opportunities like you wouldn't believe... I mean, look at them all posing! We watched this a couple of times because it was lovely and the songs were so catchy. 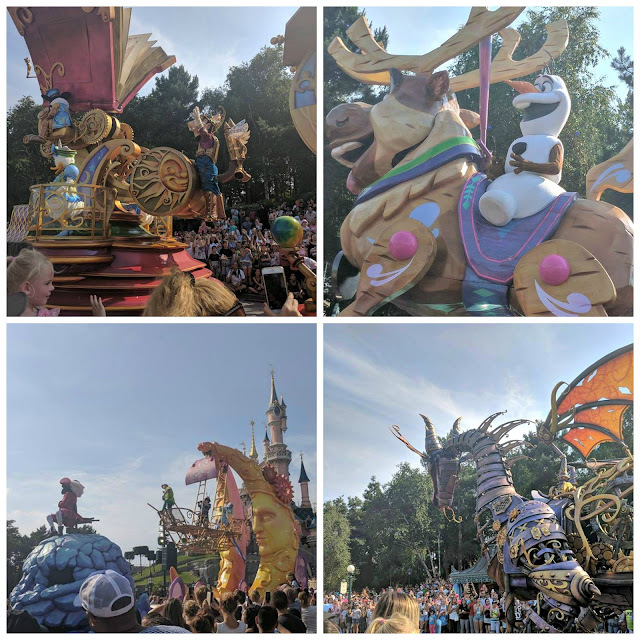 The characters also had their own special 25th Anniversary outfits which were blue and silver (the colour scheme of the celebrations) and so gorgeous and matched the decorations dotted around the park. Which leads me on to perhaps the best part of the week. On the very first day I bought myself some anniversary ears and headed to meet Donald Duck. 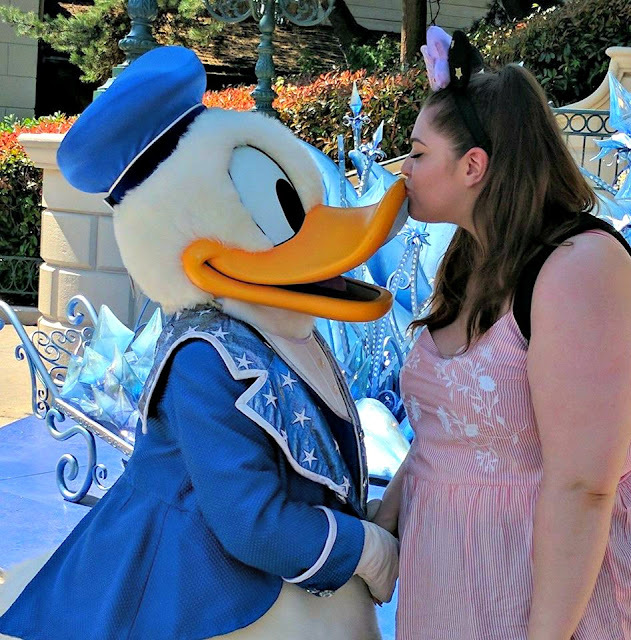 He was the only character I met on this trip because it was 36 degrees most of the time and standing still for that long was impossible but for my favourite duck, the 45 minute wait in the sun was so worth it. I'm pretty sure we fell in love and he tried to fight my boyfriend and honestly, I'm not sure who I wanted to win!? Character experiences like this are exactly what I remember as a child and it set the whole trip up perfectly. How cute does he look in his jacket?! 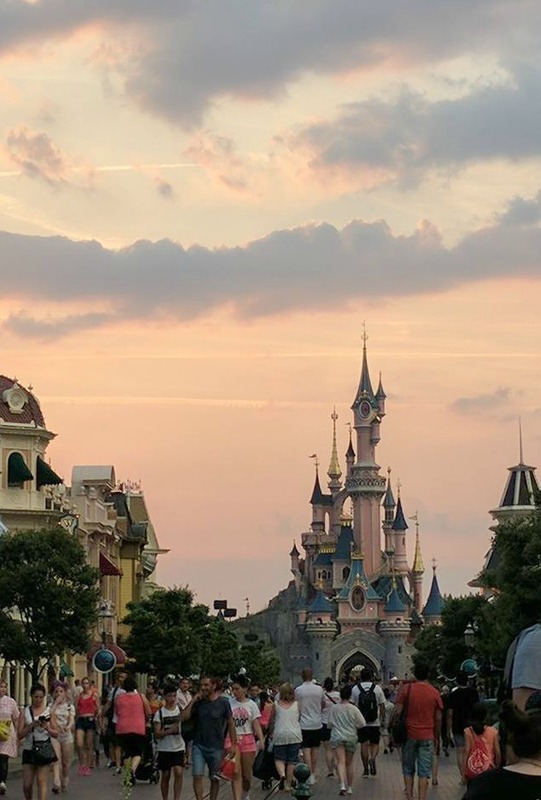 It was so magical that even the sky matched the colours of Sleeping Beauty's castle every evening as the sun started to set. We paid to watch Buffalo Bill's Wild West Show with Mickey and Friends on one of the evenings and it was so much better than I'd thought it would be. It was very dark in the arena so taking photos was difficult and this is all I managed before the show started. But I'd definitely recommend watching it if you can! 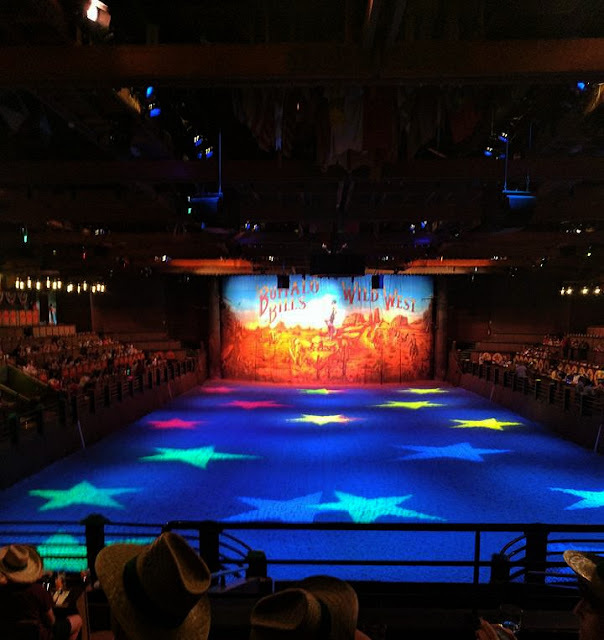 Mickey, Minnie, Goofy, Chip and Dale with Buffalo Bill and Annie Oakley, cowboys and indians, audience interaction and lots of great food and drink made for a great evening. And of course, the parade. I remember the parades always being my favourite thing when I was young and it just made me feel like I was 7 again. The giant dragon is new this year as far as I know and it was incredible. There were lost boys running down the road scaring Captain Hook with Peter Pan close behind (Peter Pan is my absolute favourite person ever) and Steampunk Mickey and friends... and obviously so much more. It was the best 5 days and I'd absolutely recommend visiting this year during the 25th Anniversary celebrations if you can. I'm so glad I got to experience it. And obviously I picked up a bunch of Disney souvenirs while I was there so my entire existence is surrounded by Disney more so than it was before. Can you tell I'm still living on the Disney high? I'll always love you, Disneyland Paris.